A Flexible MS Outlook PST Converter is here! Convert Outlook PST to EML: With the help of Outlook Conversion software, you can convert PST files to EML (file format for single Outlook Express email). Convert Outlook PST to MSG: Using this software application, you can convert Outlook PST to MSG (file format for single Outlook email). If you are required to send one single email from a PST to MSG this software will solve your purpose well. Import Outlook PST to vCard: This third-party software application will convert Outlook data files into vCard. Converting from PST to VCF format is extremely beneficial to convert PST contacts into other email clients that accept VCF format or to devices like iPhone, Blackberry, etc that accept vCards. Convert Outlook PST to TXT: After converting PST to TXT (which is format in notepad text application), you can easily open & read Outlook emails in text files. Conversion with this software is extremely helpful during slow internet connection. Convert Outlook PST to HTML: This immaculate software will help you to read and save Outlook emails in HTML pages. Convert Outlook PST to RTF: With the help of this reliable software tool, you can easily convert Outlook files from PST to RTF (Rich Text Format) to read your emails in MS Word. 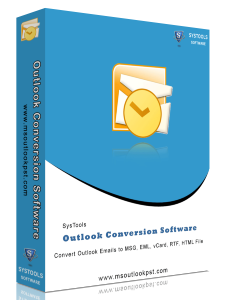 Multi Conversions with One Software Tool: If you are required to accomplish any of the above mentioned conversion requirement, you can use Outlook Conversion software. Using this software you will definitely get high results. 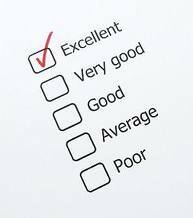 The software product is useful and easy to understand.